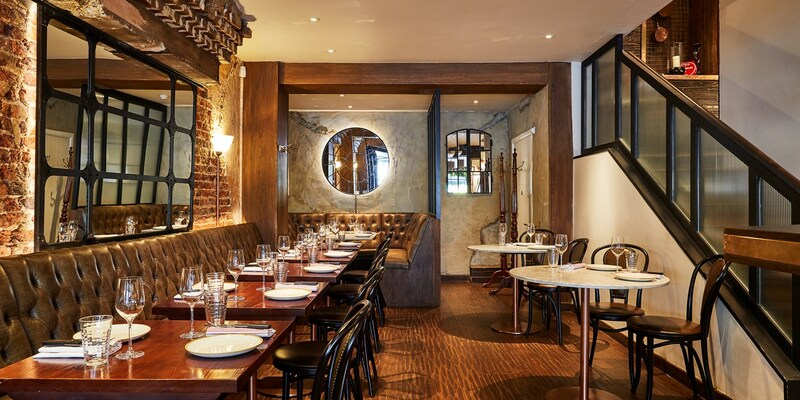 Fitzrovia – and Charlotte Street in particular – certainly isn’t short of top-notch restaurants. But The Ninth, Jun Tanaka’s own Michelin-starred establishment, stands out from the crowd for being incredibly affordable and boasting a menu of expertly presented French food with Mediterranean influences. The chef’s background in some of the finest French restaurants in London, combined with the Michelin star, might make you think of stiff white tablecloths and formal, stuffy service. Don’t be fooled, however – this is relaxed casual dining with a focus on enjoyment above all else. 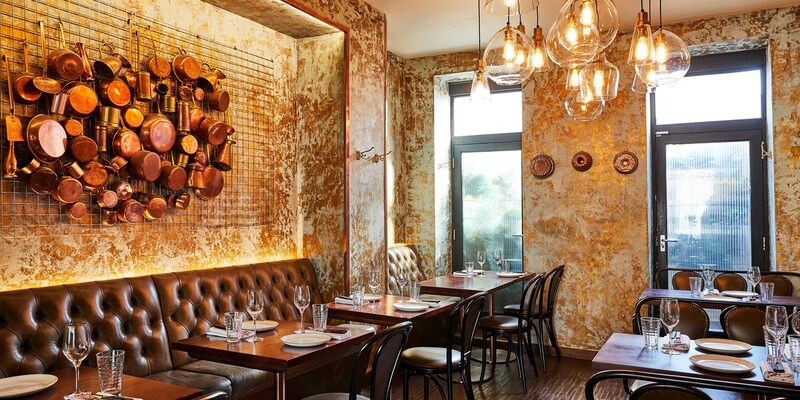 The décor is warm, golden and inviting, with a small terrace in front for when the weather’s good, giving the ninety-cover restaurant a definite neighbourhood feel. There are seats at the bar for those wanting a quick bite and a glass of wine, with further seating upstairs for private events. Menus are focused around family-style sharing, with small dishes divided into snacks, salads, pasta, raw and cured, fish, meat, vegetables and desserts. There’s plenty of French technique on show, but dishes also borrow from Italy, Spain and the rest of the Mediterranean, resulting in something lighter and fresher than traditional French cuisine. The set menu provides incredible value for money, offering two plates for £21, making The Ninth one of the cheapest Michelin-starred meals you can get in the UK. The wine list covers all the major countries, both Old and New World. There’s also the chance to taste some of the finest wines from France and Italy by the glass, and the downstairs bar is on-hand if you’re after a cocktail or digestif. Service is relaxed but attentive, giving equal billing to diners who are after something small and quick and those looking to spend a few hours delving deep into the menu and tasting as many of the dishes as possible. The Ninth is a restaurant at the top of its game, offering food which is both contemporary yet rooted in the classics at the same time. 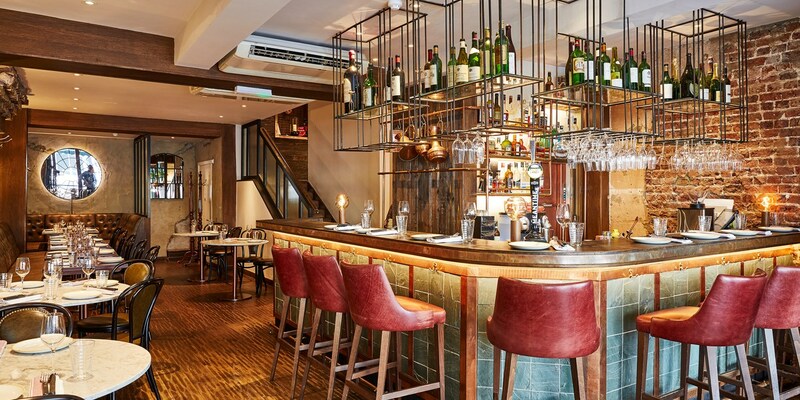 Whether you’re looking for a blowout feast for the senses or a quick lunch as you pass through Fitzrovia, The Ninth should be at the top of your list. It took chef-owner Jun Tanaka three years to find the site for The Ninth, and he had it open and running after just two months of getting the keys. The kitchen is two floors above the dining room, so the team utilise dumbwaiters to transport food between storeys. 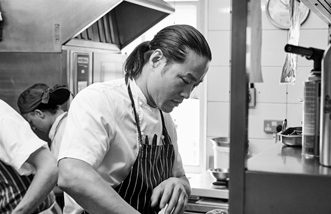 Jun spent years honing his classical technique at the UK's top restaurants throughout his career, and now uses those skills to create the same quality of food in more relaxed surroundings.